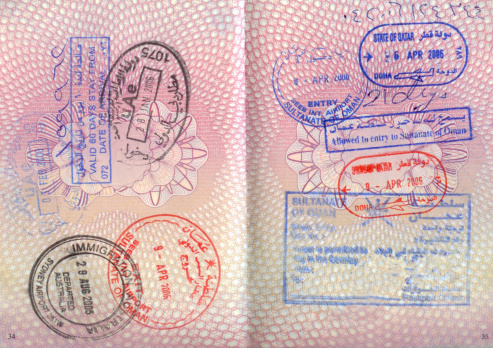 The UAE has passed a new ruling exempting citizens from 13 European member states from requiring a pre-entry visa. The UAE Ministry of Foreign Affairs has announced that all European Union citizens will now receive visas on arrival in the UAE, including citizens from 13 EU member states who earlier required pre-entry visas. Citizens of the following countries are now exempt from pre-entry visas: Poland, Slovenia, Slovakia, Czech Republic, Lithuania, Hungary, Latvia, Estonia, Malta, Cyprus, Croatia, Romania and Bulgaria. The decision will take effect from March 22, 2014. A statement added that all the necessary measures have been taken to implement the decision at all UAE points of entry. The move follows the cancellation of the EU Schengen visa for Emiratis, which received final approval from the European parliament last week. One of the conditions of approval was a bilateral visa waiver from the UAE for EU citizens. The exemptions will “enhance political relations between the UAE and European Union, will help to further develop economic ties and bilateral trade and will also help to encourage mutual investment, while promoting tourism both to and from these countries,” the government said. Helal Saeed Almarri, director general of Dubai’s Department of Tourism and Commerce Marketing (DTCM) said: “This is a very positive announcement from the UAE Ministry of Foreign Affairs and one which will have a significant impact on the attractiveness of Dubai as a destination for tourists from the 13 countries included today in the exemption. “European countries have traditionally featured prominently in our top 20 source markets for visitors and the lifting of visa restrictions provides for easier travel arrangements from across the continent. Dubai’s top visitor source markets in 2013 included five EU countries, which were already exempt from requiring pre-arrival visas: the UK (ranked 3rd), Germany (ranked 7th), France (ranked 14th), Italy (ranked 17th) and the Netherlands (ranked 20th).